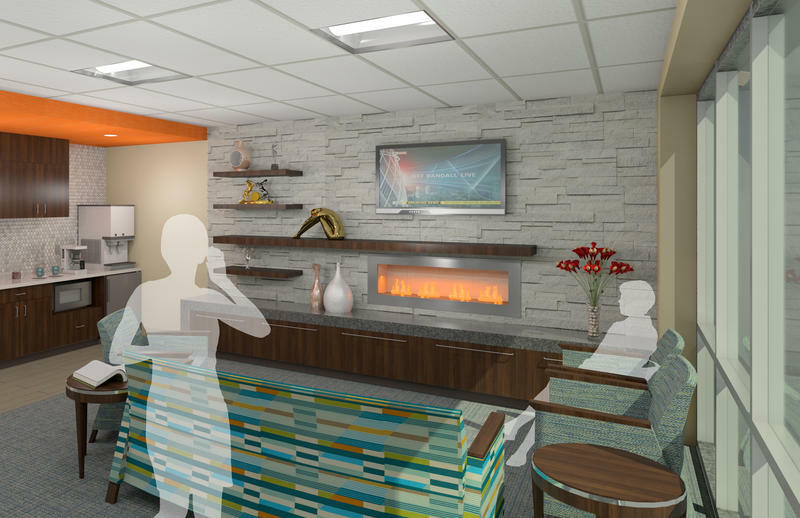 Patient-centered design at the new Siteman Cancer Center in Florissant will include a family lounge with a fireplace. 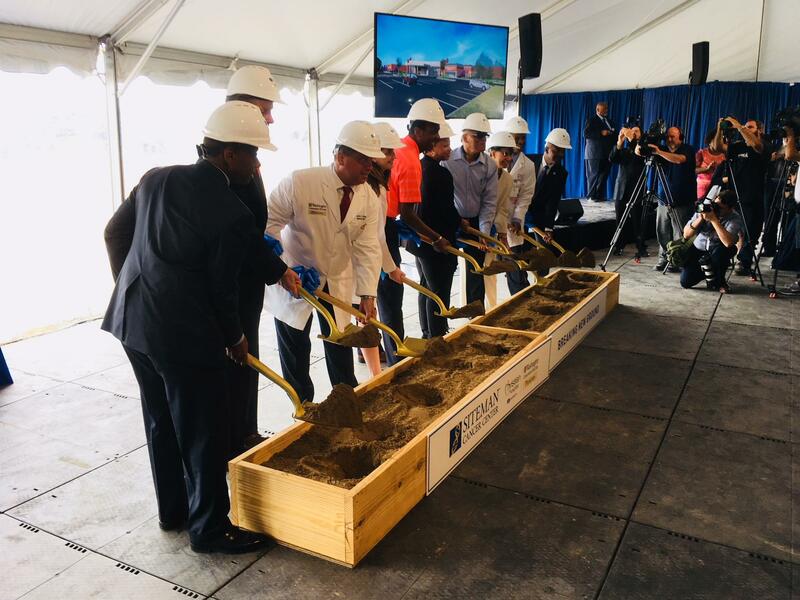 Doctors and dignitaries ceremoniously shovel at the July 31groundbreaking ceremony for the future Siteman Cancer Center in north St. Louis County. The groundbreaking ceremony was held under a huge tent on the future site of the Siteman Cancer Center at Interstate 270 and Graham Road. Doctors in white coats mingled with hospital staff, residents and cancer survivors in a festive atmosphere. Sherill Jackson, a 26-year cancer survivor and president of the Breakfast Club — a community support group for families and individuals dealing with cancer — told the gathering that the new Siteman Center will improve access to treatment. Lee Fetter, BJC HealthCare group president, noted that Christian Hospital has served as an anchor for the community for more than 100 years. 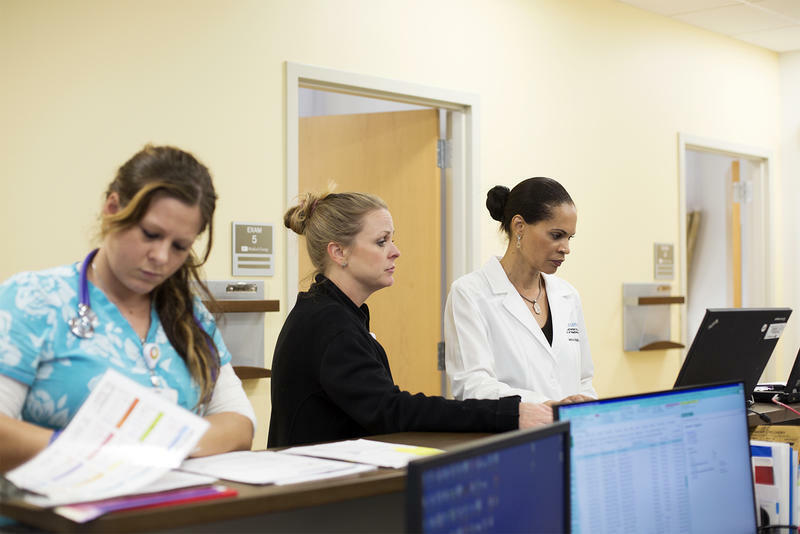 “While health care is our primary role, we also believe it is vitally important to invest in the growth and future of this community,” Fetter said. BJC supports neighborhood-wellness programs and provides education opportunities through school-based clinics and the BJC scholars program, according to Fetter. He introduced a new career initiative at the groundbreaking called the Tarlton-BJC Healthcare Resource Center. “It will assist high-school students and others in the community in thinking beyond today to future career possibilities in the construction trades and in health care,” Fetter explained. The resource center is located in a large trailer on the edge of the construction site where Tarlton will be building the new Siteman Center. Inside, there are iPads loaded with information about career options from patient care to carpentry. 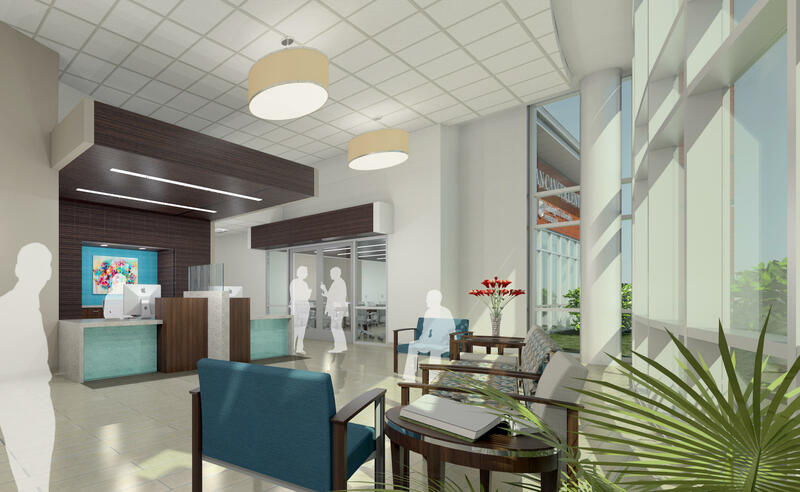 The center will include state-of-the-art technology and special features: linear accelerator to deliver radiation therapy; CT, or computed tomography, scanner; conference room that will serve as a community room for social and education events; and a healing garden. 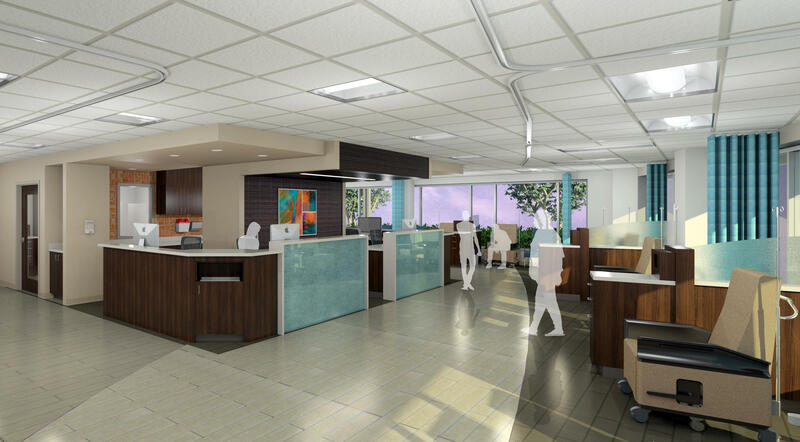 Artist's rendering of the patient registration area at the north county Siteman Cancer Center to be completed by the end of 2019. Doctors at Washington University will soon be able to provide better treatment to infants in critical care and their mothers. 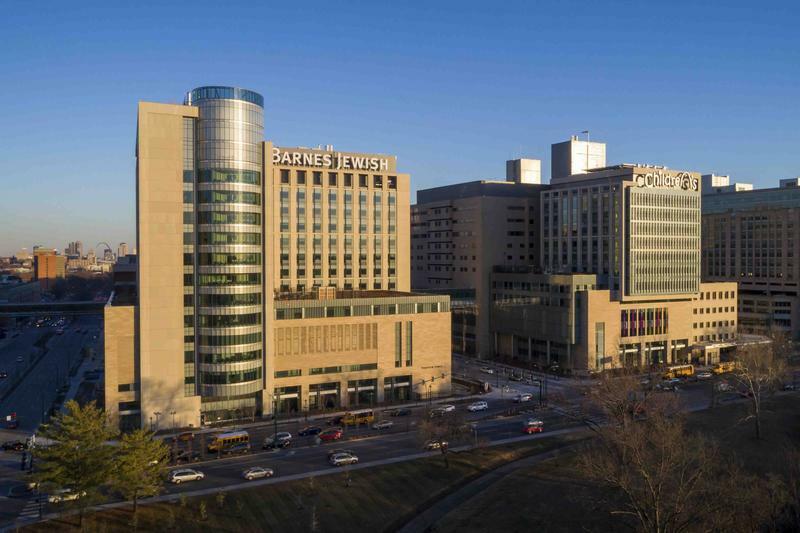 The Barnes-Jewish Parkview Tower will house patients from the Siteman Cancer Center and the Women and Infants Center. It will be connected by skywalk to the St. Louis Children’s Hospital Tower. That connection will allow doctors to transfer infants in critical condition to the neonatal intensive care unit in the event of an emergency. It will also allow doctors to more quickly unite mothers with their newborns in the neonatal intensive care unit. For years, clinical trials were focused in academic medical centers such as the one below oncologist John DiPersio’s office at Siteman Cancer Center, high above the Washington University medical campus in the Central West End. Historically, most participants in clinical trials have been white men. To help increase diversity in its cancer studies, Siteman bringing the science to people’s neighborhoods, with smaller centers in traditionally underserved areas, far away from the big medical campus. It most recently started clinical trials at its newest location in north St. Louis County, 12 miles north of the Central West End.